Happy Fourth of July and Happy Shopping! Check out these great online offers! People often ask designers where to start when they're remodeling or redesigning a room. 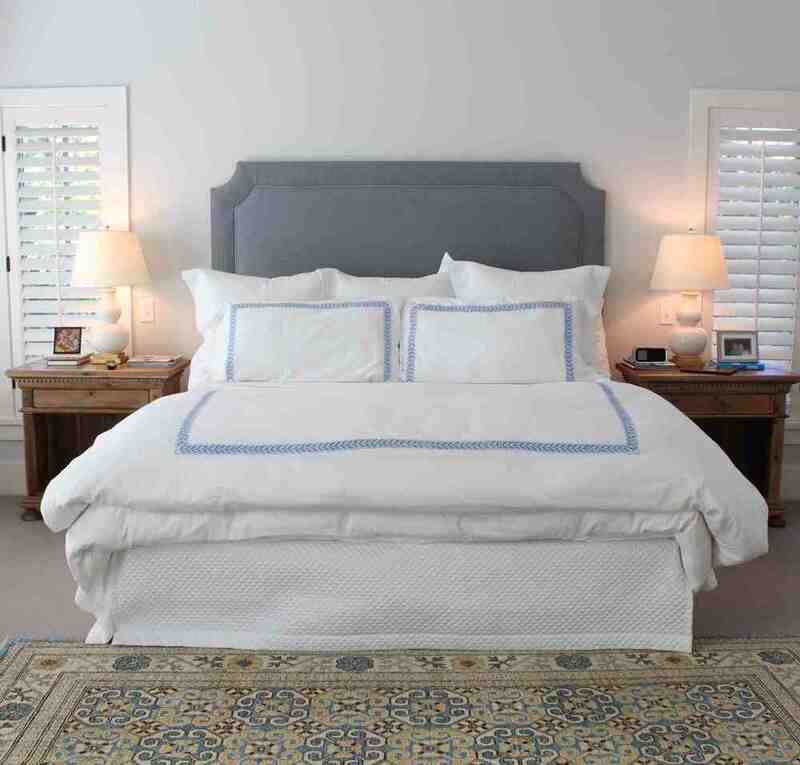 Sometimes I use a piece of art or a fabric that a client loves, but in the case of this master bedroom, we started with the soft powder blue walls. 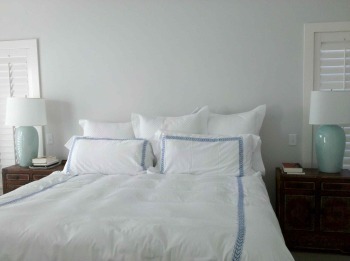 Blue tends to be a calming color, so a bedroom is the perfect place to use it! Custom pieces are the perfect way to get exactly what you want (and they're not as expensive as you might assume). But the challenge is that you and your designer have to decide all of the details. In this case, we thought long and hard about how high to make the headboard. We had plenty of ceiling height and could do just about anything we wanted. The headboard is 66 inches from the floor, a little higher than I normally do them, to move your eye up the bed and be a little more dramatic! We found great-looking sidetables from Restoration Hardware that followed the classic look, and polished it off with clean ivory-glazed lamps from Visual Comfort. The clients found the rug on a trip to Santa Fe--it was the perfect piece to the design puzzle!